Based at our Clifton campus, the John van Geest Cancer Research Centre is leading the way in the global fight against cancer. This purpose-built scientific facility was established in 2010, following an £8m endowment from the John and Lucille van Geest Foundation. With state-of-the-art equipment and facilities, our goal is simple – to save lives and speed recoveries, by improving the diagnosis, treatment and management of cancers. 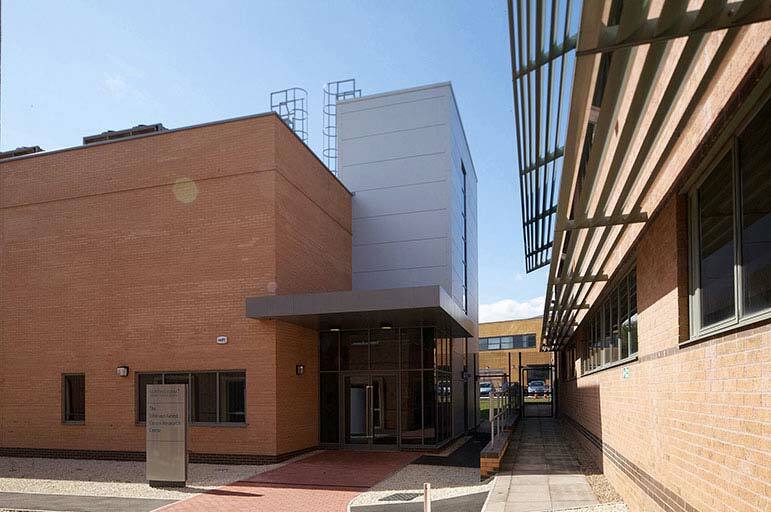 Nottingham has been a national centre for cancer research for over 40 years, and the John van Geest facility cements that legacy. Currently focused on prostate and breast cancers, our leading-edge research involves a dedicated team of scientists, working with a worldwide network of clinicians. Today, we’ve established relationships in the USA, and across Europe, Asia, and the Far East – we're committed to developing the scope and success of our research, alongside our international partners. Our staff have been chosen for their expertise within their field. They are career scientists who will be here for as long as it takes us to crack the cancer code. Cancer is personal – that’s why we’re working to create personalised treatments, from diagnosis to management. As one in three of us contracts a form of cancer in our lifetime, the vaccines and immunotherapies we’re pioneering will help to improve survival rates, and quality of life. It’s a joint effort, requiring ongoing funding and support – a worthy effort, in the battle against a disease that touches everyone. Visit our site, to find out more about who we are, what we do, and to hear from some of the people whose lives our work has touched. Learn more about our research in immunology, molecular genetics, proteomics and bioinformatics, and find out how you can support our ongoing work.